Do you want to attract more customers to your coffee shop or more guests to your high-end restaurant this year? If you're managing a restaurant business, you know that there can be a lot of stress in this business. According to The Balance, "when it's busy you worry about the staff’s service, when it’s slow you worry about money. When it’s snowing, you worry about getting customers in." You can't control the weather, but you can control your marketing. How can you use text marketing to draw customers to your restaurant? Not all restaurants use text marketing. Some choose to place ads in newspapers, others have offers on their website, and still others have an email list for discounts. However, text marketing is a fast and highly effective way to cut through all of those other communications and get to the point. Your food is exceptional, and you want to let your customers know. With a 99 percent open rate, you know that your customers are going to receive your message. With text marketing, you not only connect with your customers, but you also ensure that they open your message at the right time. People use their phones to make decisions about where they're going to eat and what they're going to eat. They also share this information with friends on their social networks. If you can send out a message with perfect timing on a Friday morning, focusing on those who want to book a restaurant for a group of friends or family on Friday night, then you know that most of your customers will open that MMS message within a short time, making it easier for you to target your offers based on timing. MMS marketing lets you customize your offers to different groups of customers. This allows you to send out image-rich options for different groups of people. For example, families may be interested in your midday lunch discounts for the coming weekend or they may want to take advantage of your 5 pm dinner discount. 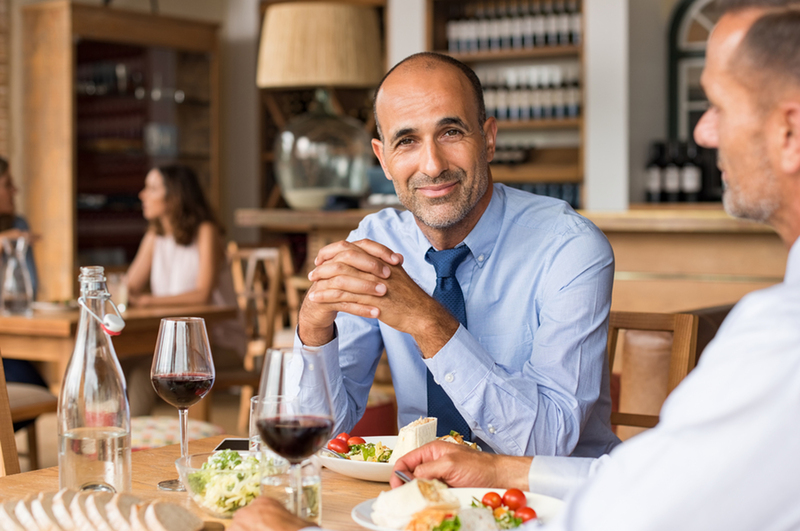 Restaurant Success says that you can use text marketing "to keep a database of contacts and customers, to share your menu and new dishes (and) to attract sales with exclusive deals." That feeling of exclusivity can be a selling point for your customers. Make them feel like they're getting a special deal tailored just for them when you send them a targeted text message. If you're selling coaching services, sending out a photo of a happy client may not be the key factor that gains you a new client. However, when you're running a restaurant, your guests want to see what they could eat. Eating is very sensory, and while you can't send the delightful smells and tastes of your restaurant to your customers, you can send them photos. Entice your guests back into your business with professional-quality photos of your food, especially at times when they're hungry or thinking about booking a special meal. At EZ Texting, we're focused on making your business a success. If you're curious about how MMS and SMS marketing can help your restaurant business, talk with us about your text marketing options, and sign up for free today.